Euro Auctions, Europe’s leading auctioneers of industrial plant, construction and agricultural machinery, hosted its largest-ever sale at its auction site in Leeds, UK, from January 30 to February 1 with a record 5,000 lots going under the hammer. The stars of the sale were 750+ excavators, which was the world’s largest sale of excavators, said the statement from Euro Auctions. After the three-day sale, the hammer total was £42 million ($54.3 million), up five per cent over the same period last year. 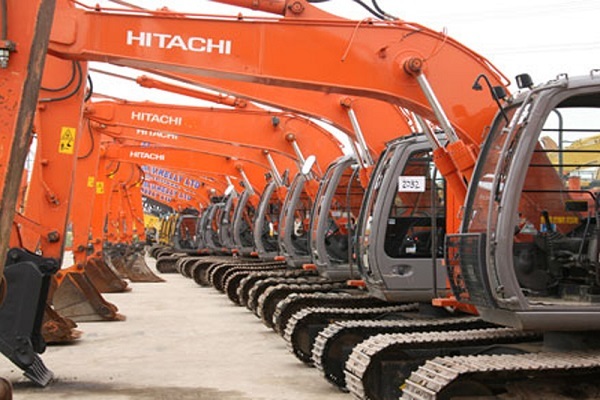 However, it was the number of excavators that were up for grabs that provided the highlight of the sale, it stated. With more than 750 excavators of all sizes and types going under the hammer, Euro Auctions held the world’s largest excavator disposal sale, with brisk bidding and strong prices. *320+ articulated, site and track dumpers - all sold! *300+ commercial vans, cars and Jeeps - all sold! *270+ telehandlers - all sold! *150+ rollers - all sold! *140+ tractors - all Sold! The last three Euro Auctions sales have all been record breaking in some way, however, this year, the number of lots was the highest on record, in addition to record attendances, record registrations and record number of bidders from across the globe. Online sales are now constantly between 50 per cent and 60 per cent, with strong interest from Europe, Middle East, Africa, Oceania, Caribbean, Asia, South America and North America. On this year's feat, Jonnie Keys, the operations manager, said: "Whilst we have a reputation for selling good quality machinery, and lots of it, we think it’s combination of things. It may be the tip of the Brexit spike, with consignors and buyers disposing of, or acquiring machinery, before the Brexit deadline at the end of March." “Another factor may be capacity” stated Keys. “Euro Auctions is expanding the Leeds sale site, and whilst these facilities will not be operational until later in 2019, the entire area is being laid to concreate hard standing, giving us the capacity on sales days to line up and display up to 6,000 lots,” he noted. “On Brexit, whatever the outcome may be, Euro Auctions is experienced in shipping machinery and equipment around the globe for many of our clients, both economically and painlessly, so our buyers are bidding with confidence that we can help them get their purchases to where in the world they need to be,” he added. New Euro Auctions facilities will include: new workshops, office and main administration centre, auction arena and sales ramp, in addition to a 2,380-sq-m jet wash bay, which will create the largest auction facility in Europe. Euro Auctions said it hosts over 60 key auctions each year, from 10-sales sites in seven countries on four continents around the globe. Collectively over 100,000 lots are auctioned each year, consigned by more than 6000 regular vendors. Each auction also has massive appeal with sustained corporate marketing initiatives regularly reaching a global audience of over 150,000 potential buyers; one in five of whom actively register as bidders, with over 10,000 taking delivery of one or more consignments, said the statement from the company.